Today I was at the factory in Zuffenhausen. Before lunch I saw a just produced black GT4 crossing the street to the Exclusive Manufaktur. The street car has the same bumper and wing as the Clubsport version. After my visit to the musuem and lunch I had a factory tour, at the beginning of the assembly line I saw a finished 718 Boxster Spyder dashboard. The dashboad had yellow contrast stitching, lower part was covered in Alcantara and the rev counter stated "Spyder" (redline at 8.000 rpm). Redline at 8000, but tach going until 9000 like the NA 6? or 8000 being the highest number on the tach? Yes, the rev counter is going until 9.000 rpm but the redline is beginning at 8.000 rpm. Extremely juicy info! I wonder why they're on the production line now though? I've heard they're not out for quite a while yet. Obviously they can't be ordered yet not on configurator so they can't be customer cars. Maybe you happened upon one of the launch cars or maybe it's just another mule. Does anyone know if they make mules/launch cars on the normal production line? The factory needs to exercise the tooling/production chain before launch. Cars produced in early batches while gremlins are being addressed end up being launch cars. USP of a “Touring Spyder” would be the convenient top with NA6. 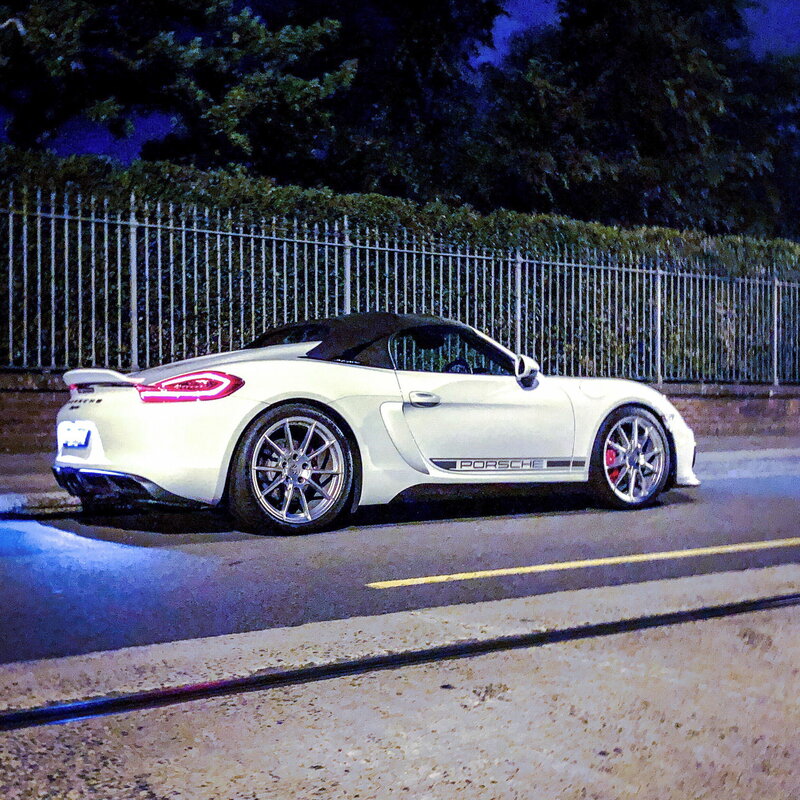 As a 981 Spyder owner, a touring version doesn’t interest me at all (needs the classic rear speedster style humps) but there are supposedly punters who value the convenience more and that gives PAG a more immediate answer to the rather limp 718 sales rather than waiting for the next version. Wow very cool!!! Was this possibly one of the preproduction show models that will be shown during the release? I’m going to be at the factory in late March, it would be absolutely awesome to see the new Spyder in production when I’m there. Agreed, it completely transforms the look of the 981. I’m curious how it would look if it spanned the entire rocker vs the partial. 8k redline is a big news! Thanks Juli for the awesome news! Could this mean the engine size to be 3.8? A 4.0 at 8k could be making more than 420 hp? Personally, I would prefer 3.8 since it would be more entertaining. Man, it's gonna be a treat to experience the soundtrack at 8k redline in an open top! It gets even more exciting if you consider 982 would sound better than the 981! Someone who listened to it at idle, in a closed garage, commented so. Probably needs the 4.0 at 8000 rpm to hit the 420hp power target with the particulate filters. CS can do it because no filters. Good point. Since US cars aren't gonna have particulate filters, some tricky de-tuning could be in store. Could this also mean, gearing would remain high? What I just don’t see happening is a model between the Boxster GTS and the Boxster Spyder. If the market has room for a 718 Boxster with NA6 and a convenient top without the Spyder’s styling, then Porsche will make that the new Boxster GTS. I’ll be surprised if they put a version of the Spyder’s NA6 in it though, as doing so would seem to overlap a bit too close for comfort IMO. Which is why I think some version of the 3.0 turbo 6 from the 991.2 base Carrera is mode likely for such a car. That would also make it easier for Porsche to use the same engine in the new Boxster S, as it’s easier to put out different tuned versions of that engine in an S and a GTS by tweaking the turbo motor for different boost specs. Wonder if/when Porsche will bring back a Cayman R and perhaps offer a companion Boxster R? And if so, what would those be? What is the red line on 981 Spyder/GT4? Is it 7,600 or 7,800? I think there are specific packaging limitations surrounding putting the 3.0 twin turbo in the mid engine platform. 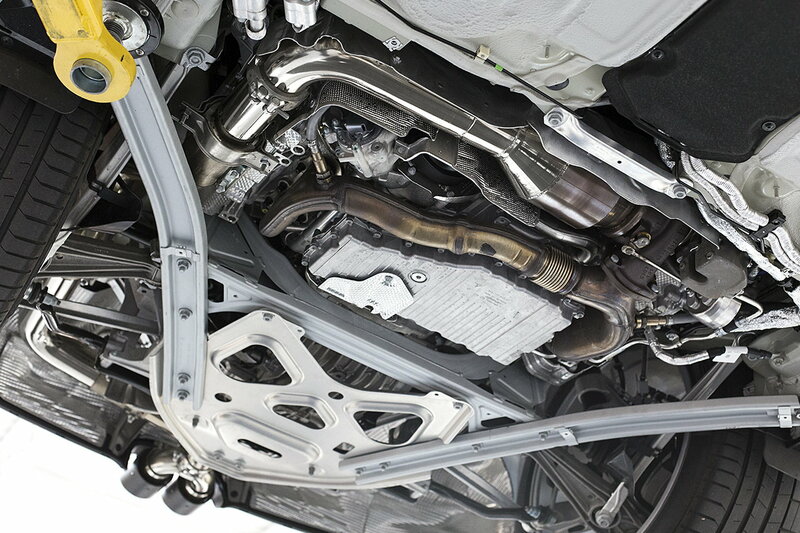 If you look at the underside of the 718 I seriously don't see how they would package twin turbos and all the intercoolers and piping and what have you. The 2.5T is taking up all of the space already. The 911 doesn't have a trunk and has more room to position all of that. If I had to guess I think this GT4 4.0 is a new engine, and they probably left themselves the ability to make a smaller displacement version for any cars they want to make under the GT4.